Re: Email Marketing Services. Which one? Email Marketing Services. Which one? Do you love your email marketing service? We've been using MailChimp for years and I really am falling out of love with it as I find the editing features seriously limiting and nothing ever looks very good on it. There's a very good chance I'm not using it properly but would be interested to hear what you're using and why you love it! This is great question @Cohort_Hostel, what problems have you had? Looking forward to hearing what the preferred email platforms are for everyone here. I understand there is a 30 day free trail which may be good for you to test out the platform. Don't get caught out with the changes to data protection which @EmmaDingle posted about a few days ago. 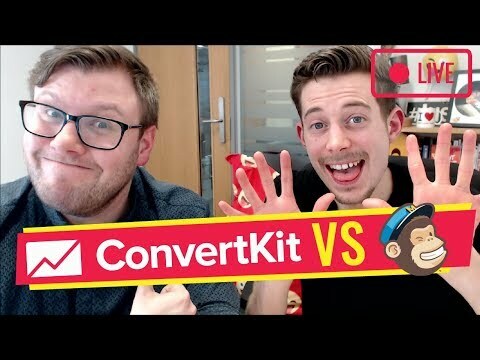 Get Your Free 30 Day trial of ConvertKit here: https://bit.ly/convertkitfree - Exclusive to Andrew and Pete (Thanks CK team!) Check out the super awesome email marketing course, E-NAILED, here: https://www.andrewandpete.com/e-nailed Looking for a MailChimp alternative? Want a review of ConvertKit? Ooh. Thanks for this. Will deffo watch this vlog. I did a search and am just looking at Constant Contact and doing a free trial... but this might be better. Thanks for the heads up!